Opteon property valuers in Hobart, provide property valuation and advisory services in the Hobart and the Greater Southern area, which includes the Hobart, Glenorchy, Clarence, Kingborough, Southern Midlands, Derwent Valley, Brighton, Central Highlands, Kingborough, Glamorgan Spring Bay, Huon Valley, Sorell and Tasman municipalities. 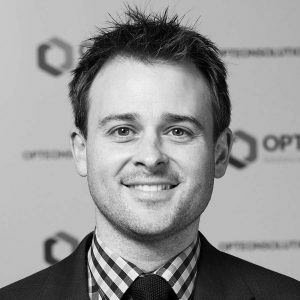 Opteon property valuers in Hobart have extensive experience and knowledge of the Southern Tasmanian property market. We have been at the forefront of property valuation in Southern Tasmania through property market boom times and economic downturns. Our specialist team of certified property valuers in Hobart will provide independent property valuation advice for any purpose across all market sectors. Our specialised Hobart property valuation team can assist with property advisory services across our core business areas that include but are not limited to commercial, residential, agribusiness, plant and equipment, government services, tax depreciation and quantity surveying. Our advisory team and property valuers in Hobart provide professional services to banking and finance professionals, land economists, real estate sales, leasing and management consultants, quantity surveyors, lawyers, accountants and private clients. Our local Hobart property valuers can determine the value of property for any personal, commercial or legal purpose. By working with Opteon, you’ll gain access to our extensive network of expert valuation and property advisors providing you with quality reporting. We have Southern Tasmania covered so call one of our valuation and property advisors today.